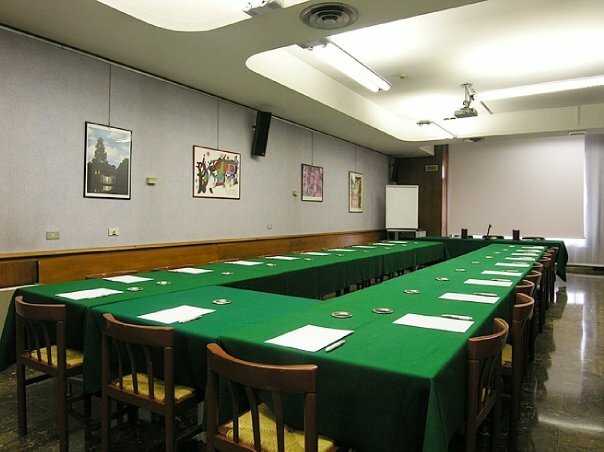 Hotel Al Cason has 2 modern meeting rooms, each of which can accommodate up to 40 people, for the use of our guests. These rooms have the benefit of natural light and are fitted with all the most useful modern technical equipment. Depending on your requirements, these meeting rooms can be used for conferences, briefings, training sessions or job interviews. So that we can cater for your every need and provide the best solution for your requirements, why not ask for a non-obligatory quote listing everything you need the room to have. Our restaurant and cafeteria are there to provide you with coffee and snacks, or lunch, when you are ready to take a break during your meeting.